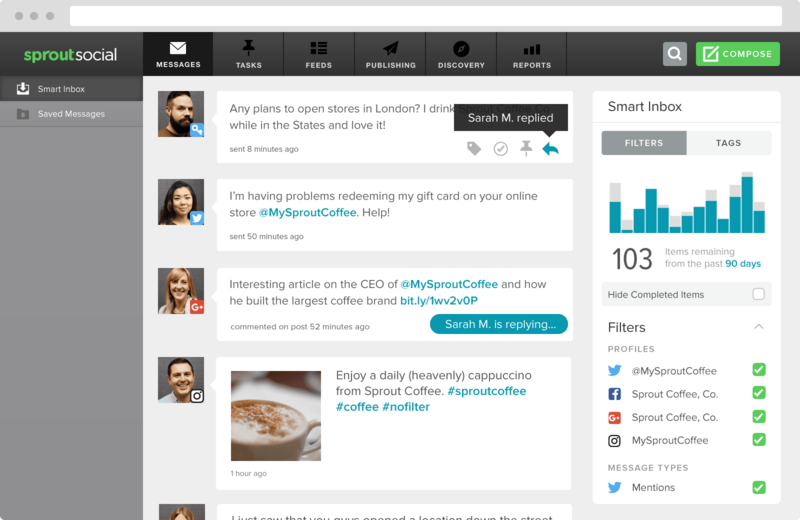 SproutSocial is known for social monitoring, but they also have some social listening tools built into their platform. 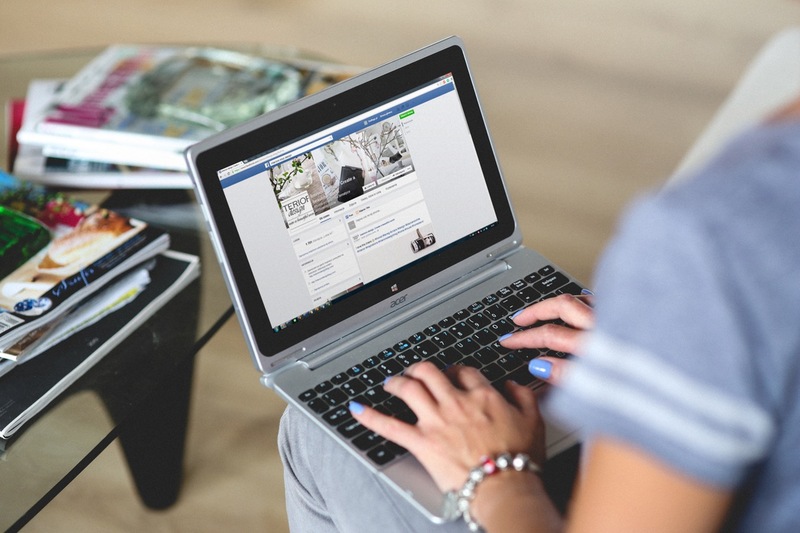 Because of the lower price point and dual functionality, this can be a great option for small businesses who want to get started in social listening. 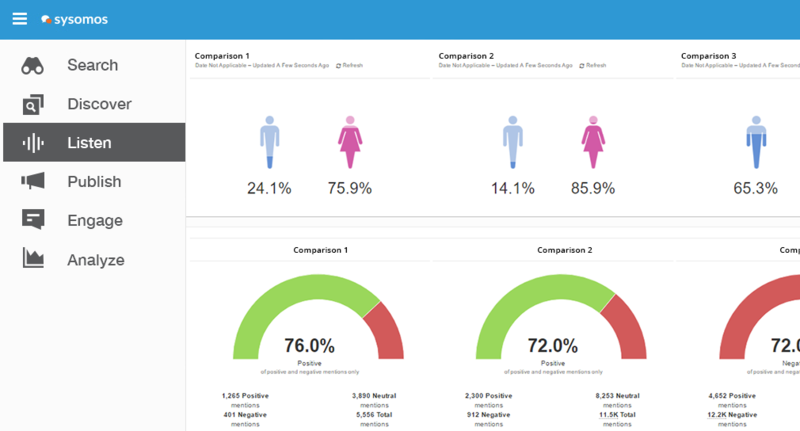 Their platform allows you to conduct advanced hashtag and keyword queries; visualize your brand reach and how it compares to your competitors, see share of voice metrics, analyze sentiment and discover influencers online. SocialMention is a free, online tool that tracks conversations blog, microblogs, bookmarking sites, images, videos and questions. Because it is free, it’s not entirely accurate and the data can get a little messy. However, it does offer free metrics associated with social listening such as brand reach, strength, sentiment and passion. 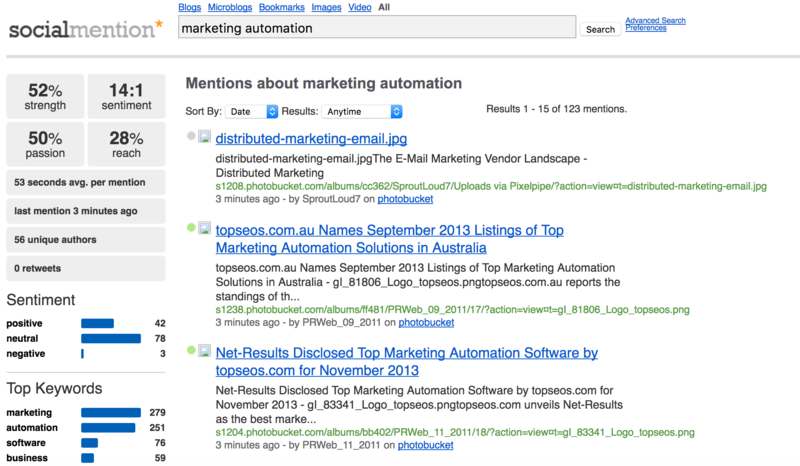 You can view top keywords used with your search, top hashtags and top users mentioning the keyword or brand. To test it out, plug in your business name and see what you find. HARO is a great way to “listen” in on public relations opportunities for your brand. 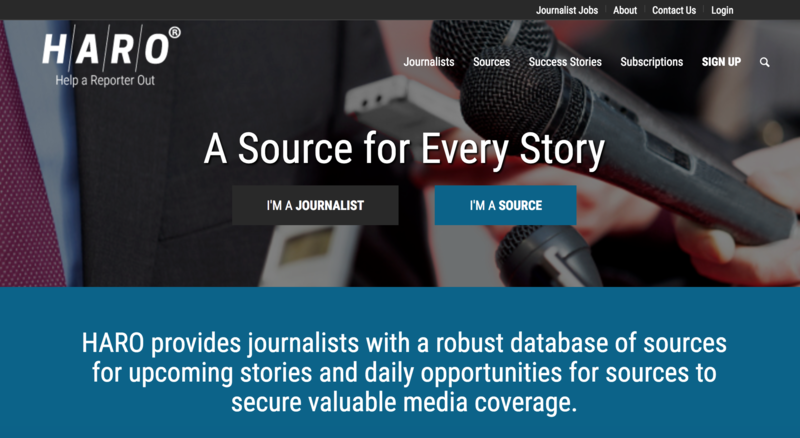 In this platform, freelance writers and journalists list the sources they need for their publications and articles. By tracking the digests weekly, you can find places to offer your expert opinion. If you earn a mention in one of these articles, it’s a great place for brand awareness and a linkback to your business (which matters for SEO)! Traackr will allow you to connect with influencers and “listen” in on what they’re talking about and the content they’re sharing, so you can conduct conversations with them. 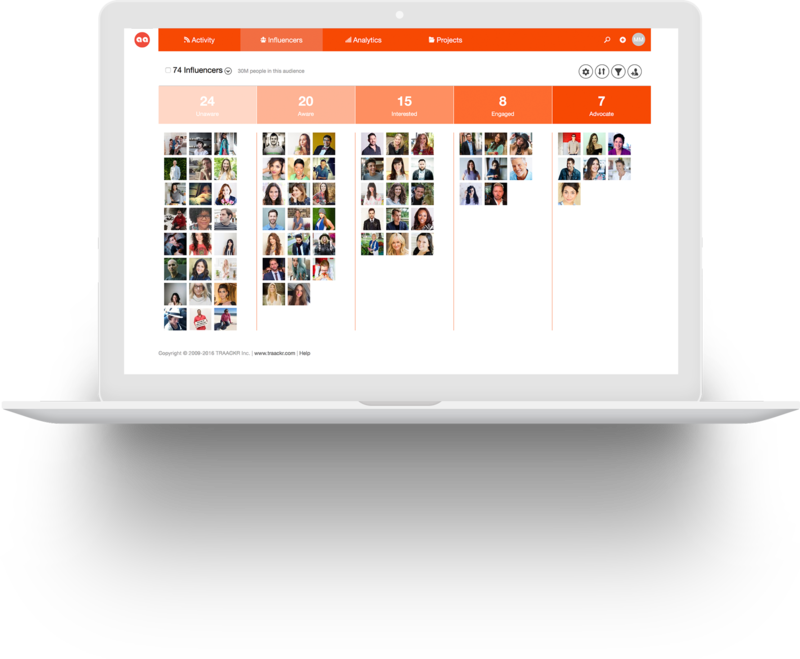 The tool allows you to find influencers based on keyword searches, follow those influencers, track engagement with them, and reach out to collaborate. Just be sure you follow social etiquette when engaging with this influencers, so you don’t ruin a potentially great relationship for your brand.